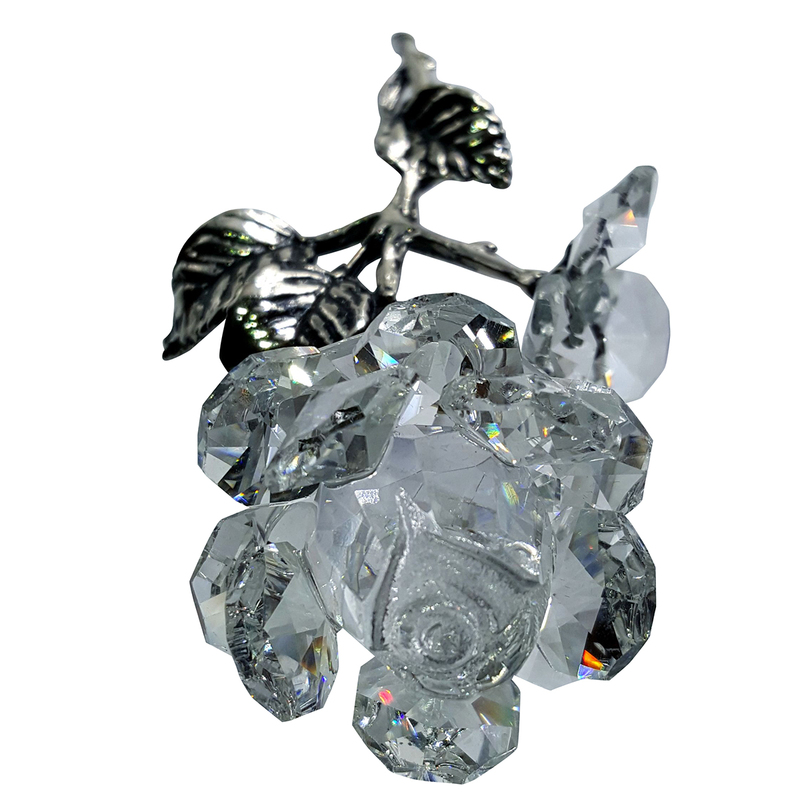 This charming clear crystal rose was handcrafted to create a beautiful, unique flower with an antique look using a metal stem and leaves . 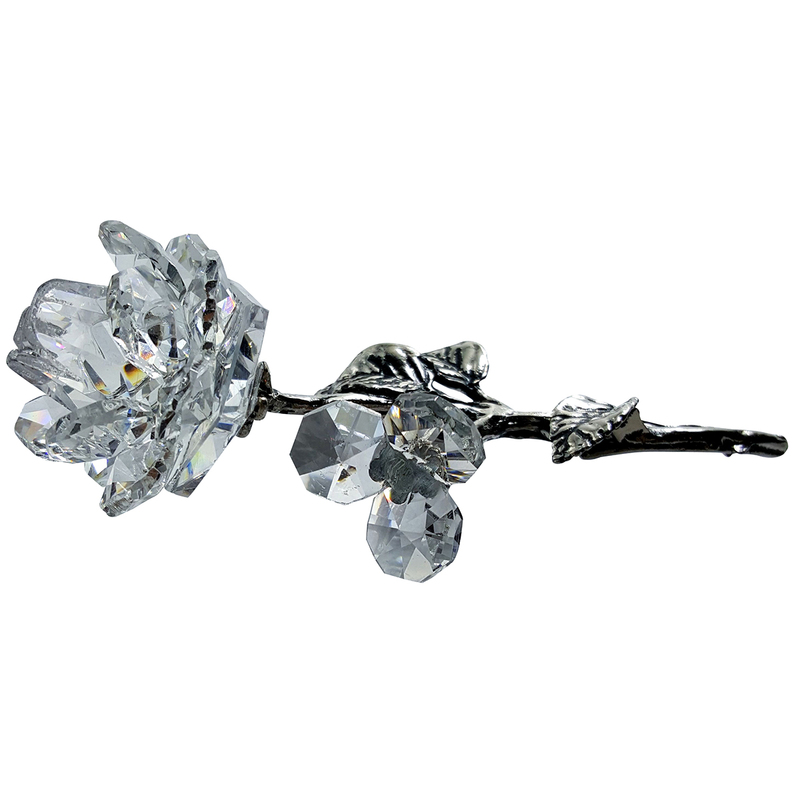 Nothing says "I Love You" like the rose. 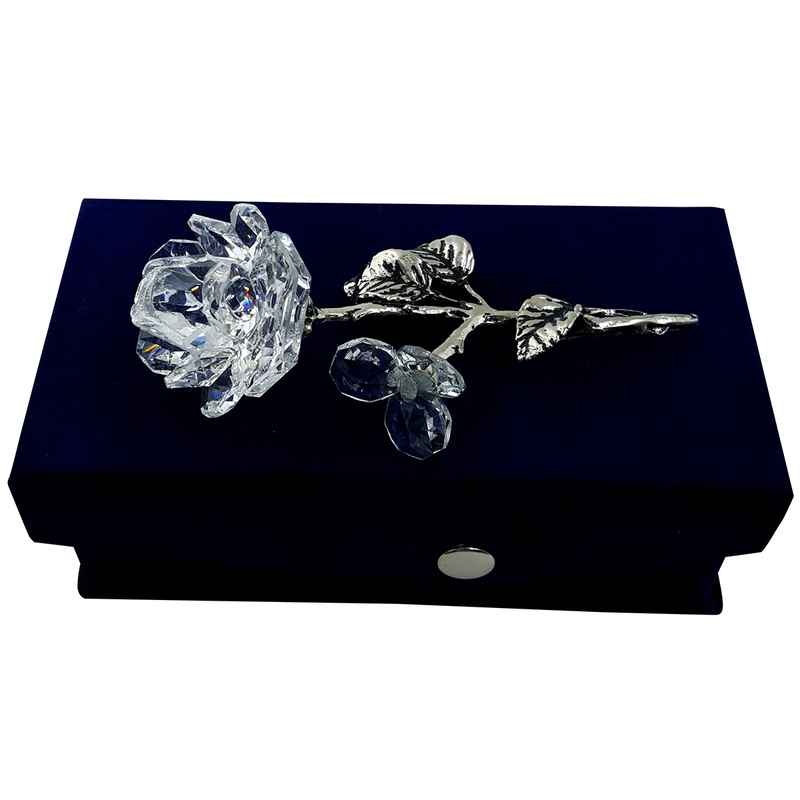 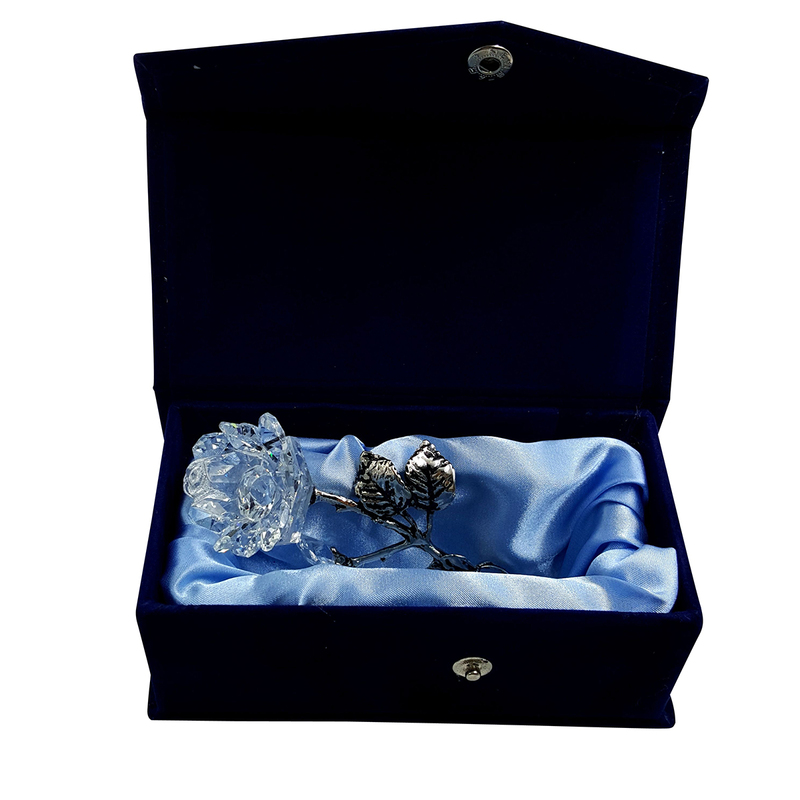 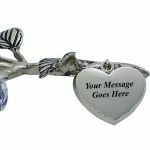 Crystal Roses and Figurines are best displayed on quality mirror displays. Click here for a matching mirror.